The capital city of Nigeria is fast assuming the status of a mega city like its rival city of Lagos, attracting tons of expatriates, industrialists and government officials due to rapid expansions and a sizable number of ongoing developmental projects. Ultra-Modern structures, world class hotels and restaurants can be seen springing up in the Federal Capital Territory. Abuja has become one of the top cities to look forward to during business or leisure trips, as it boasts of one of the world’s best culinary experience. Get a taste of local Nigerian Cuisine and various continental dishes at some the best restaurants in town. Are you planning a visit to the capital city, a list of some of the best restaurants to visit and treat yourself to mouth-watering meals during your stay in Abuja has put together just for you. 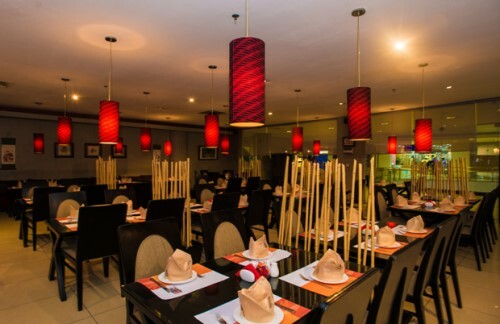 The Oriental Restaurant in Transcorp Hilton Abujais frequented by businessmen and socialites alike, spend some time feasting on Oriental cuisine, Thai fare and Mongolian specialities amidst a number of classy cuisine buffs. Housed in one of the 5 star hotels in Nigeria, the restaurant has become a favourite amongst locals and business guests. A themed buffet is usually organized on selected evening, enjoy a perfect dining experience in this tastefully furnished restaurant on your next trip to Abuja. A visit to the Federal Capital Territory will be incomplete without a trying out an Al Fresco dining at the Papillion Restaurant in Sheraton Hotel Abuja. 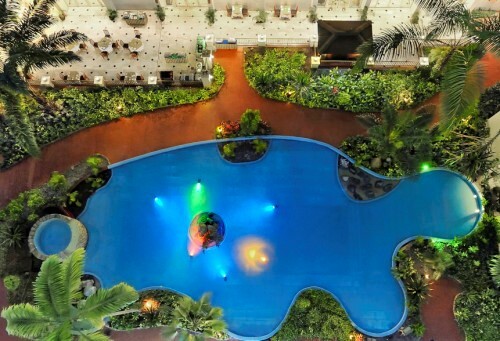 The restaurant offers amazing meal options in a scenic garden setting. It is one of the best buffet restaurants in the city which offers a blend of African and international cuisines. The Arabian themed buffet organized every Thursday night is worth trying out. Tulip Bistro is fast becoming a favourite for casual dates and intimate parties. 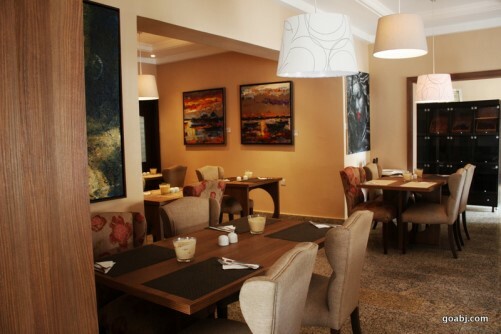 The restaurant is one of the best places to enjoy excellent meals in Abuja. Treat yourself to juicy lamb chops with grilled or mashed potatoes, delicious cakes, tarts and sandwiches as well as excellent Fettucini Alfredo. Woks and Koi is an upscale contemporary styled restaurant in Abujawhich offers an assortment of excellent Asian cuisine. Enjoy an exquisite dining experience in a restaurant with be spoke artworks while feasting on steamed Dumplings or Shredded Calamari with green pepper sauce. 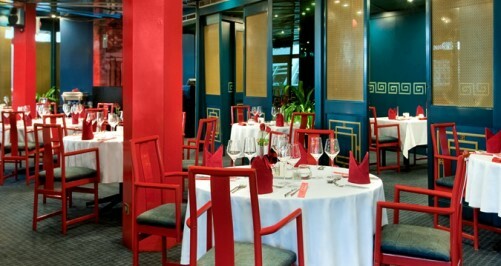 The restaurant offers value for your money and an unforgettable dining experience. Both local and international dishes are served, the classy interior complemented by contemporary artworks is just perfect for a date night with friends or a business date. 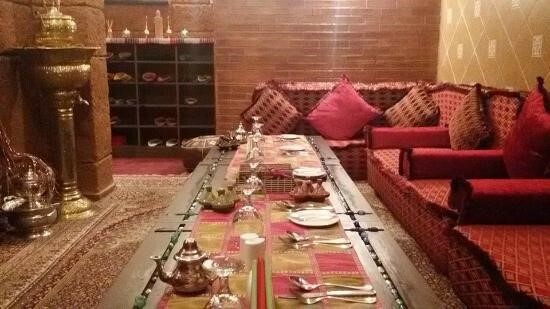 The Moroccan section of the restaurant provides Shisha, flanked by rugs, low chairs and throw pillows, the atmosphere is perfect for a cosy time out with loved ones. These restaurants are just a few of the many amazing places available to wine and dine during your stay in Abuja. What could be better than enjoying fine dining and getting the perfect and most affordable accommodation in Abuja on your next visit, check out the list of 5 star accommodation and cheap hotels in Abuja only on Jumia Travel. Written by: Mariam Banwo Barry, a self-motivated, goal oriented individual who is passionate for quality and result. She believe the best way to preserve knowledge is by constantly passing it off to a new generation of individuals who would help shape the future of our society. Hence, the invaluable importance of social media and the web on conserving useful information. A content development and marketing connoisseur who specializes in creating SEO friendly web contents to increase conversion rate. She works with the SEO team at Jumia Travel.